And Other Metal Inside New and Recycled Wood. The Little Wizard easily detects nails, screws and buried metal objects inside recycled wood. 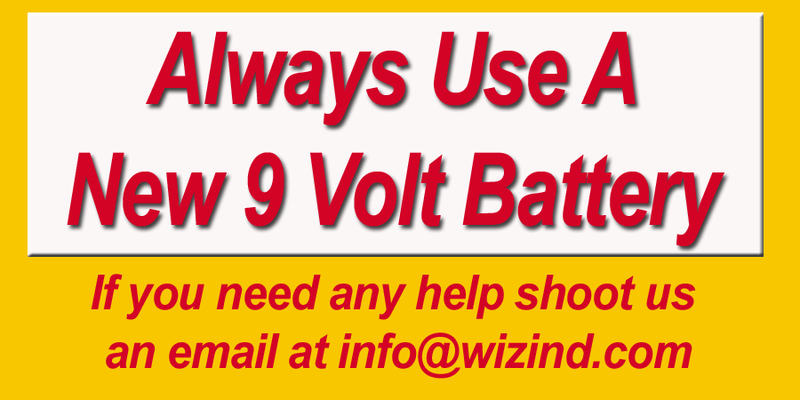 Use the Little Wizard to save valuable planers, saws, sanders and drills. The Little Wizard can precisely locate studs in walls by detecting the screws which hold the drywall onto the studs. It is also a precision handheld metal detector that can be used for treasure seeking or and pinpointing. 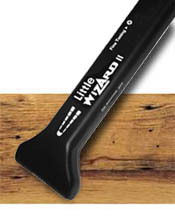 The Little Wizard is a precision hand held metal detector designed especially for woodworkers. Perfect for scanning recycled wood for screws and nails before planing, routing, sanding or sawing, and other forms of metal detection. The Little Wizard accurately indicates metal buried inside recycled wood by emitting a high pitch beep tone and illuminating an array of LED's. The Little Wizard can pinpoint the exact location of metal. No guessing, extensive physical searching or unnecessary visual searching is needed with the Little Wizard. The Little Wizard is widely used by woodworkers everywhere. It's small size and unique detection strength allow it to be used to quickly detect damaging nails, screws and other dangerous metal buried inside of wood. The Little Wizards adjustable sensitivity makes pinpointing easy and accurate. The Little Wizard precisely indicates metal by emitting a high pitch beep tone and illuminating an array of LED's. There's simply no better economical, portable metal detector made. The Little Wizard Does NOT detect lead shot (sorry hunters).